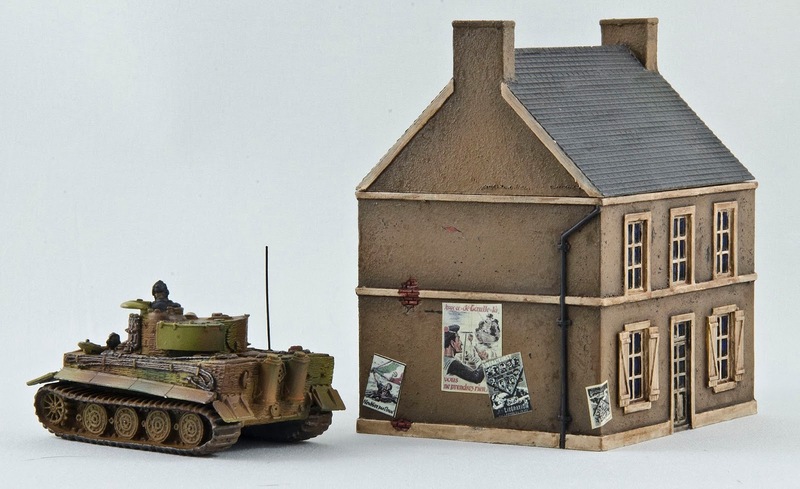 This coming weekend I plan to run a game of WW2 Force On Force at the Trumpeter club meeting. 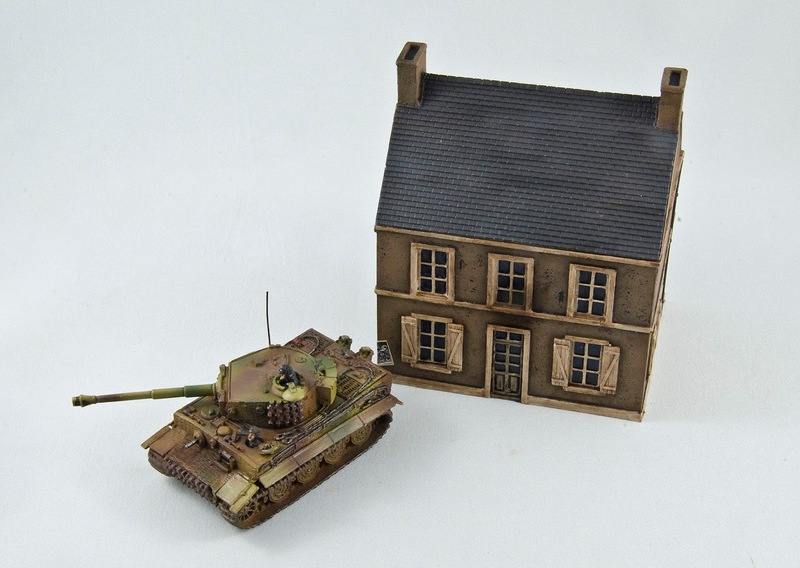 I have been developing a scenario based on historical actions of the Canadian 4th Armoured Division in St. Lambert Sur Dives, and a key part of the action was the Canadians trying to clear the village while a Tiger tank prowled around inside. Thus, I clearly needed a(nother) Tiger tank. Luckily, I had the Flames of War Michael Wittman set on my shelf, so I just had to assemble, prime, and paint it. While I was at it, I had a couple of the fantastic TigerTerrain 15mm buildings that were still unpainted in my closet. I pulled them out and I have finished one. 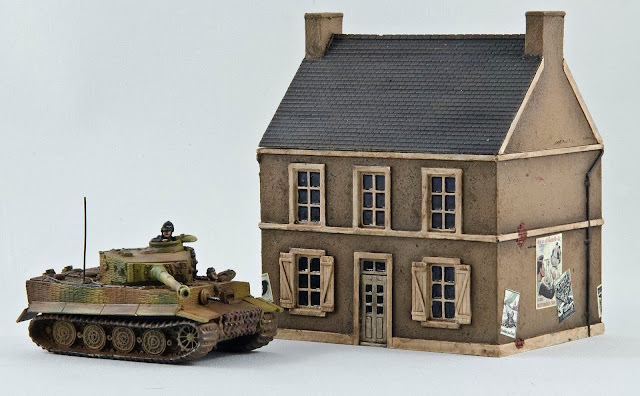 I plan to have a much more thorough write-up regarding my WW2 Force On Force conversion efforts and the scenario I am putting together at a later date. Check this space for future updates. The building looks fantastic. Do you have a sheet of posters somewhere, or do you have to find individual ones you like and miniaturize them? I wish I was paying more attention to how you were weathering your tank. It's a great effect. I just found some posters on the internet, scaled them down, and printed them with my laser printer. No big mystery! Same with the tank dirt, it's just pigment powder.